Workman Publishing Company, 9780761141228, 256pp. 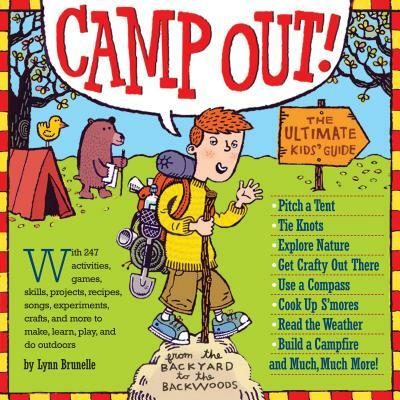 Whether you're planning an over night in the backyard or a weekend in the wilderness, this book is packed with stuff to know. The basics, from gearing up to choosing a site to building a tarp tent. Tasty outdoor recipes: Solar Oven Pizza, Chow Down Chili and s' more's of course—with 8 variations. Plus: how to keep a Field Journal, exploring the nighttime sky, creepy campfire stories, and when it's time to go home, leaving no trace. It's everything you need to pick up and head for the hills.